Highly specialized obligate mutualisms have traditionally been studied as pairwise interactions between partner species. However, interactions with multiple other mutualists and non-partner species can influence how specialized mutualisms are structured and how mutualisms influence community and ecosystem processes. 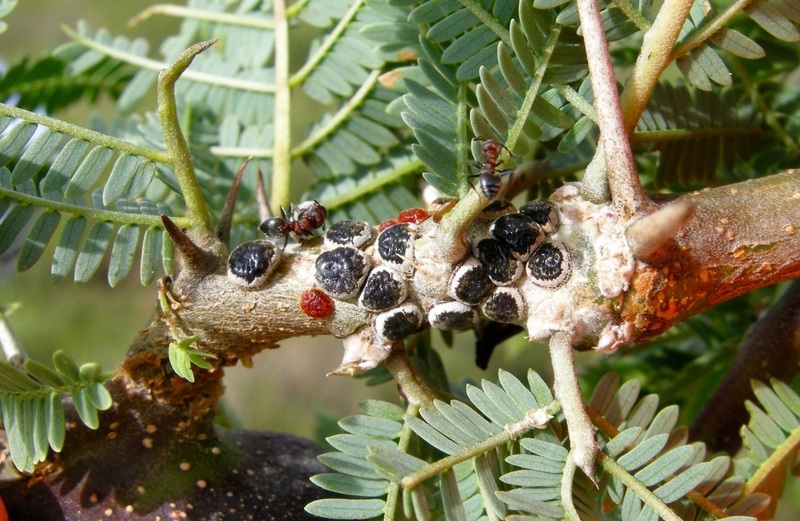 We conduct research in one of the iconic specialized mutualisms between several species of symbiotic ants and the foundation tree Acacia drepanolobium in East Africa. We are involved in two projects in this system. 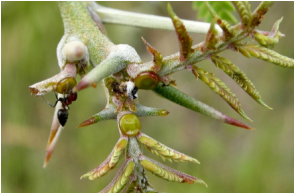 One in examining the role of a third mutualist partner (a honeydew-producing scale insect that ants tend) in the functioning of the ant-host plant mutualism. Second, in the role of host plant ontogeny in this mutualism, including how this mutualism functions at the earliest ontogenic stage of the host plant - when plants are producing rewards for ants and ants are recruiting to trees - processes that are important in determining the long-term demographics of this foundation tree. ​This research is in collaboration with Todd Palmer at the University of Florida. Check out our write up about this work in the Mpala newsletter.